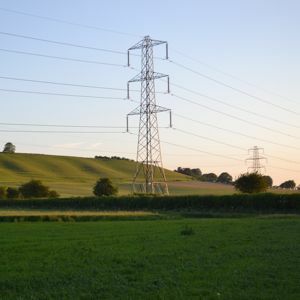 National Grid will spend £500M to remove electricity pylons and bury the cables they carry underground in a drive to reduce the visual impact of electricity distribution network in sensitive areas. The company has announced a shortlist of eight nationally protected locations in England and Wales where it will use the £500M in a programme of works starting next year. Replacing all of the country’s pylons has been estimated at £11Bn and there are hopes for more of this sort of project in future. National Grid said it could implement a range of engineering measures including the replacement of existing overhead lines with underground cables and re-routing and screening the lines from key public viewpoints. Twelve sections of high voltage lines in eight Areas of Outstanding Natural Beauty (AONBs) and National Parks have been shortlisted as having the most significant landscape and visual impact. These are Brecon Beacons National Park, Dorset AONB, High Weald AONB, New Forest National Park, North Wessex Downs AONB (pictured), Peak District National Park, Snowdonia National Park and Tamar Valley AONB. Plans for these sites form part of the Visual Impact Provision project, a major initiative to reduce the visual impact of existing transmission lines in protected areas. National Grid is also set to use part of the £500M allowance made available by electricity and gas market regulator Ofgem until 2021 for smaller localised visual improvement projects. A Stakeholder Advisory Group is helping National Grid to identify which transmission lines should be prioritised and how the fund should be allocated. Members of the group have recommended that a study on a section of overhead line which crosses the River Tamar in the Tamar Valley AONB should now be progressed to assess the feasibility of engineering work to reduce its visual impact. Decisions about other shortlisted sites will be made in Spring 2015 following engagement with local stakeholders and further investigation of technical feasibility, economic, social, archaeological, environmental and heritage issues. Click here to review all our current vacancies in utilities.